We know you may have been missing us of late. Never fear; there is reason for our absence, and it is not because we don’t love you anymore. No! The reason behind our recent absence is twofold. Firstly, Dr. Hurley himself has been travelling and so our offices have been taking a well earned break (though dearest Seamus is a wonderful man, he can sometimes be a workhorse who demands similar stamina of his workforce). Secondly, we editors feel that it is time for a spring (or summer) clean around these parts, and so we’ve been putting our energies into revitalising Dr. Hurley’s Snake-Oil Cure and the SnakeOilCure.com site. Regular contributors: If you have something for us, then submit! If you have many things for us, then we’d ask that you try to work on a Snake-Oil exclusive, and send us your best work! You are those who keep Seamus happy, and keep us editors engaged and thankful to be running Snake-Oil Cure. Our favourite submissions will kick off our revamped site! Newbies: Submit! 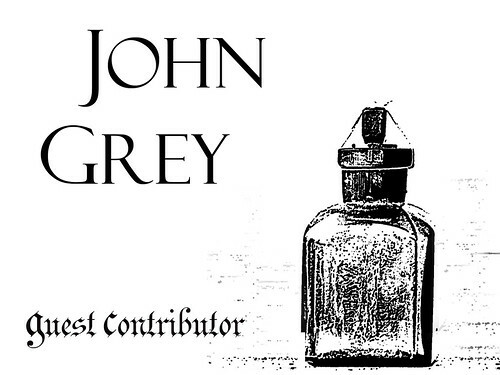 Most of all, we want to encourage new submissions from new writers, artists and the like. Submission guidelines here. All and sundry: Submit to one of our ongoing series. Check out the Trees series and our Smithsonian series (covered by the Smithsonian Institution’s blog!). Although currently lost in the winding back roads of County Kerry, Dr. Hurley is eager to see your finest new submissions upon his return, so don’t let him down! We will resurface on September 10th, 2012, with brand new writing, art, multimedia, and potable content, as well as a slight revamp for SnakeOilCure.com. We thank you for your patronage, and eagerly anticipate your correspondence. A tumble of echoes, a rainbow crashes, shatters. A large gaping window, a high balcony, a hazy mist. Nothingness, thought, vision, my last day. Broken waves open up to me, moon blades, spreading my friend’s ashes. Earth, frozen wood, river flowered, there is only one space, yourself. Her eyes, the gift from her eyes. the ferns do shadow me. Tiny microphones in their stamens. reporting me to every other plant extant. I have a good job and a nice apartment. I heard the cry of something in the walls. and there is no room below mine. the forest’s thick green uterus. when it’s timed to a keyboard. I can land any helicopter you can name. And I shower twice a day. the dust march of the distant donkeys. I promise they’ll all wear condoms. 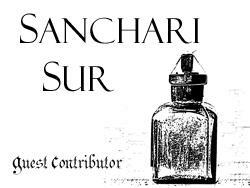 Sanchari Sur is a Bengali Canadian who was born in Calcutta, India. Her photography, poetry and short fiction have been published or are forthcoming in Map Literary, Barely South Review,Red River Review, Black Fox Literary Review, Urban Shots – Crossroads (India: Grey Oak/Westland, 2012) and elsewhere. Her short story, “Those Sri Lankan Boys,” was selected to be a part of Diaspora Dialogues Youth Mentoring Program in Toronto this year. You can find her at http://sursanchari.wordpress.com.